Newborn Session Share: Orange Sherbert! 29 Aug Newborn Session Share: Orange Sherbert! Inspirations: Orange sherbet! Yes, I’m really serious. Can’t you taste it?? Biggest Challenge: Taking these in their middle daughters very small room, as it was the only room with light in their entire house. It was easy to warm the room up, which kept the baby really happy, but I had to sit in the closet to be far enough from her to take her pictures. I probably looked really ridiculous now that I think about it. 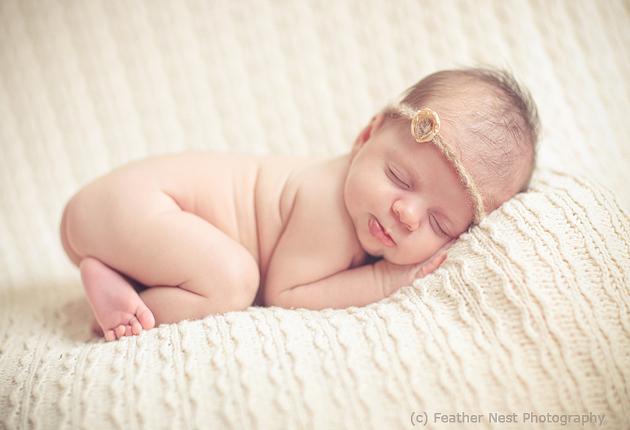 What Client Said: This is baby number 3 in a really busy family, so I’m not sure I have any quotes to use from mom. But, they were very, very happy and I’ll being seeing this sweet baby again in a few months! That’s good enough for me. 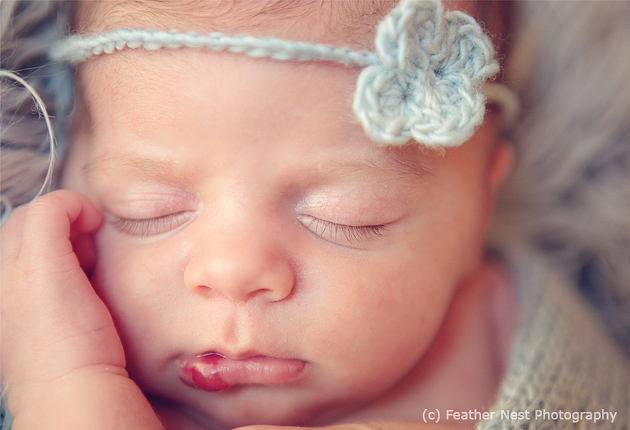 Photographer’s Final Words: When I arrived for her session, her parents were a little concerned about the hemangioma on her lip. They were all (in a cute quiet voice – as if the baby might hear ;o), “what do you think – can you take it out? ?” Generally hemangioma’s fade away by 2 years of age, but not always. Some do require surgical intervention and some last longer into childhood or adolescence. They asked my opinion about removing it in post-processing. And, I was very honest. I absolutely don’t think you should choose to do that. My oldest daughter had a small hemangioma on her nose, which did fade away completely by her 2nd birthday. BUT, when she looks back at pictures she does notice it and asks us about it. I edited it out on one picture of her at about 3 months old. She has now noticed that it wasn’t there in that one picture and asked me about it. I was so embarrassed at my choice and I will be finding that original file soon and be “fixing” my error. I just don’t think it’s a good message to send to a little girl in our already heavily “edited” media saturated world. 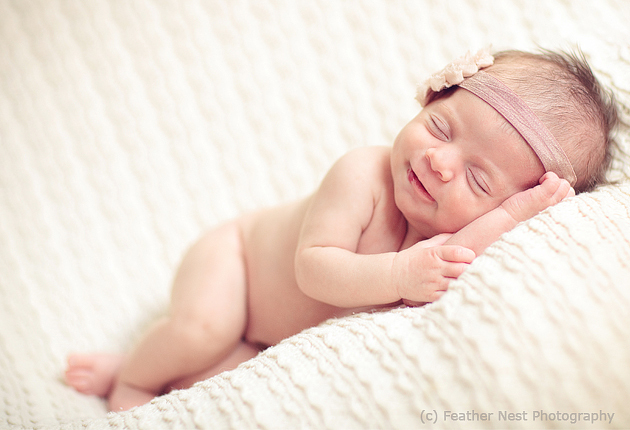 And, although the parents weren’t sure what to do about it with regard to her newborn pictures, as soon as I explained the bigger picture and my experience, they wholeheartedly agreed and instantly felt the same way. She is and was complete perfection just as God sent her to us. And, I for one hope she never doubts it for a second! Extra Notes: One more final word (ok maybe a lot of final words ;o)) . . . 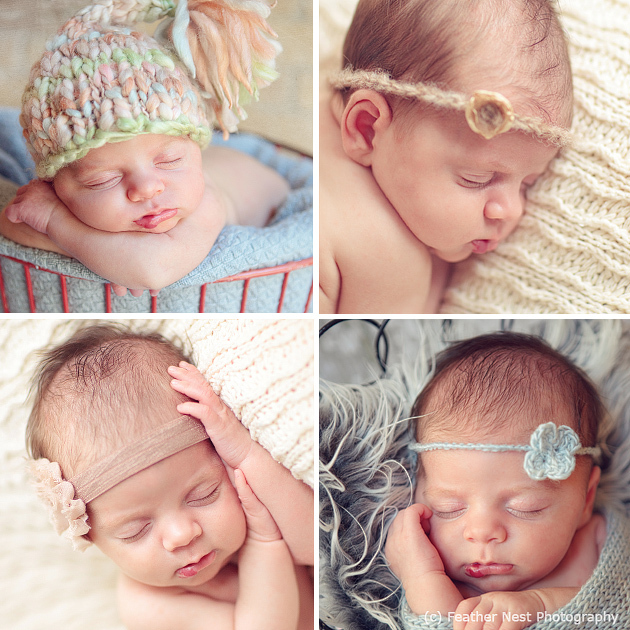 There has been some “back lash” about newborn photography and the safety of newborns with the ever evolving and endless stream of “poses” for these little masterpieces. 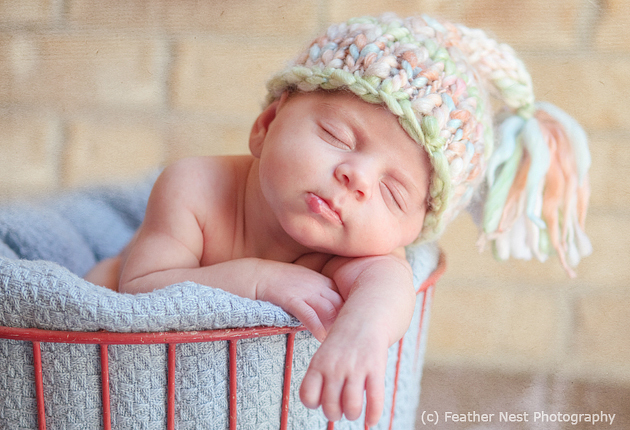 I just want to take this chance to say there are a lot of ways to use your creativity to bring more variety to a newborn session without twisting them into the next cool pose of the week. This session is a great example of using a color story or theme to “paint your canvas.” I started out with the sherbet colored hat as inspiration and started collecting things that matched my color story – use your color wheel; you have to pay attention to complimentary colors. 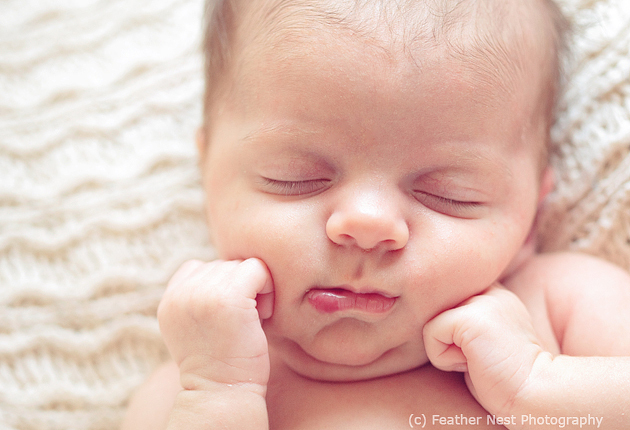 Newborn babies also love and need physiologic flexion (bringing their limbs in close to themselves) . . . she automatically placed her hands up to her face when I just left her to herself. That was the most organic picture of the bunch and one of my favorites. While I do like every finger in it’s place and refuse to snap it until I’m happy, I also like to see what their favorite position to put themselves into will be. It’s kind of fun to see how each baby is different from the next already. Allison, these are beautiful and you gave those parents wonderful counsel on how to look at their daughter’s hemangioma. I’m so glad to see your post here!! This was a beautiful session!! I love the stance Allison took on the little imperfection. My daughter had a hemangioma on her head and I didn’t take it out of her pics either. I loved every picture taken during that session. Also, funny enough, I didn’t even notice the hemangioma on this little girls lip until I read the comment and then went back to look. That is how beautiful the pics were.